Felisa Rincón de Gautier. Image free to share and use commercially from Wikipedia. San Juan, Puerto Rico. Public domain image from Wikimedia Commons. Hispanic women usually do not appear in history books. It is time to end that. Felisa Rincón de Gautier is one of the Hispanic female historical figures forgotten in the annals of history. 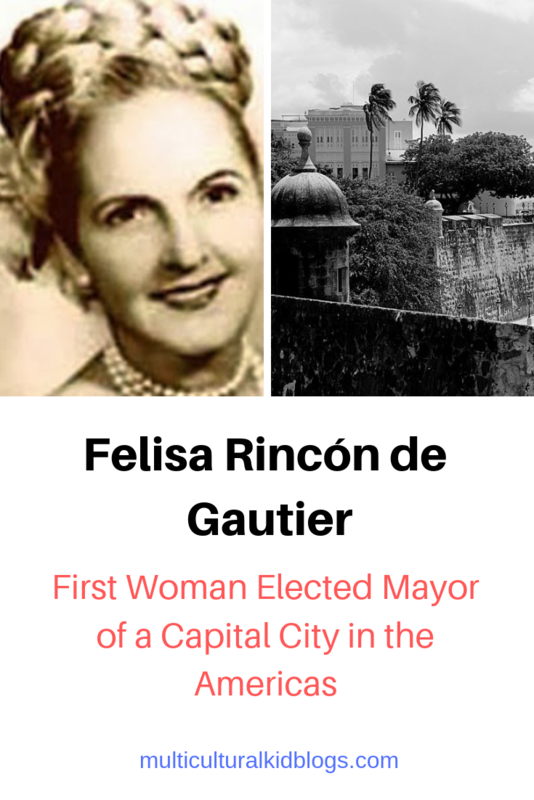 Felisa was a Puerto Rican businesswoman, suffragette, social activist, politician, ambassador, and the first woman in the history of the Americas to be elected as mayor of a capital city. Felisa Rincón de Gautier, also known as Doña Fela, was born in Ceiba, Puerto Rico on January 9, 1897. Enrique Rincón Plumey, her father, was an attorney, and Rita Marrero Rivera, her mother, was a teacher. Felisa had to leave school to take care of her eight siblings after her mother died giving birth. She did not finish high school, but her father sent her to work with her uncle at a pharmacy where she learned the profession. Besides working as a pharmacist, Felisa worked as a seamstress in the states. She came back to Puerto Rico with enough experience to establish her fashion store, Felisa’s Style Shop. She also opened a flower shop called Miles de Flores. Creating jobs for her people by opening two businesses was not enough for Felisa. She needed to do much more for Puerto Rico, so she became a suffragist and participated in the movement for the women’s right to vote. In 1932, women in Puerto Rico gained the right to vote. Not surprisingly, Felisa was the fifth Puerto Rican woman to register to vote. During her younger years, Felisa advocated for the independence of Puerto Rico and belonged to the Liberal Party. Influenced by the ideas of Luis Muñoz Marín, the first democratically elected governor of the island, she changed her mind. As a result, in 1938 she helped Luis Muñoz Marín form the Popular Democratic Party, which prioritized social problems over the political status of Puerto Rico. Felisa was just getting started breaking barriers for women in Puerto Rico. She was appointed mayor of San Juan in 1946. When she won the following election with overwhelming public support, she became the first woman ever elected as mayor to a capital city in the Americas. Her administration lasted 22 years, from 1946 to 1969. Her government was transparent and worthy. As a mayor and a social activist, Felisa achieved many great deeds for children, senior citizens, and the poor. She built the Municipal Hospital in San Juan and additional clinics that admitted people of limited resources. She opened early childhood centers, known as “Escuelas Maternales,” that turned out to be the models for the Head Start Program in the states. She also established local centers for the elderly and legal offices for the underprivileged. The public not only loved Felisa for her work but also for her kind heart. Every Wednesday, she held an open house at City Hall in which people in need told her in person their problems. The mayor took notes and solved these issues. She started the tradition of “El Día de los Reyes Magos,” which consists of the government giving free Christmas presents to children every January 6th, on Three Kings’ Day (Epiphany). She brought snow from the U.S. mainland to the island during three consecutive years. The children played with it at the Sixto Escobar Park and the Luis Muñoz Rivera Park. Aerial View of San Juan, Puerto Rico taken by the U.S. National Park Service. Public domain image from Wikimedia Commons. Furthermore, Felisa transformed San Juan into a modern and urban capital city in Latin America. She fixed existing streets and parks and constructed new ones. She improved the housing conditions in the city and renovated and conserved historical landmarks. 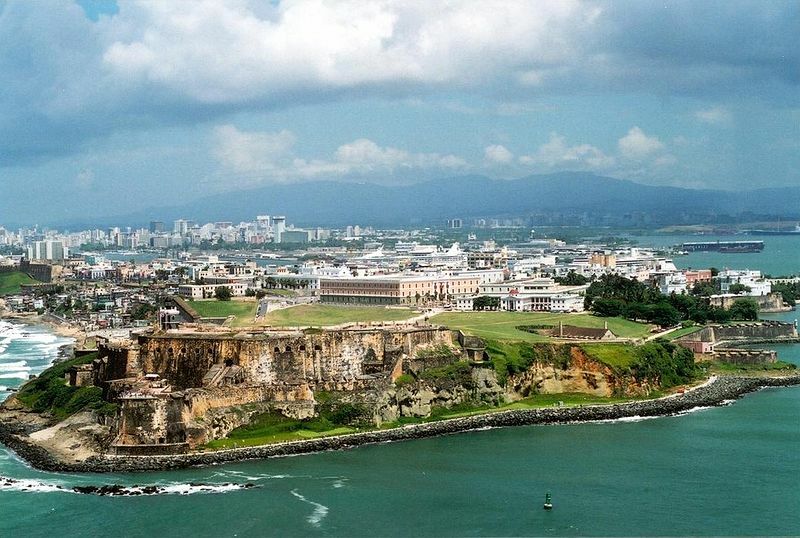 During those 22 years, the population of San Juan increased from 180,000 to 450,000. San Juan turned into a metropolitan, financial, and touristic city. After finishing her term as mayor of San Juan, Felisa served as an American Goodwill Ambassador in Asia, Europe, and Latin America for four U.S. presidents. Her role was crucial for the relationship between the U.S. and the countries she visited as ambassador. For her numerous contributions, she was named Woman of the Americas in 1954. Eleven honorary degrees and 113 keys to cities around the world are among other numerous awards she received for her lifetime of work defending social causes. Felisa Rincón de Gautier died on September 16, 1994. She rests in peace in the Cementerio de la Capital. Tourists and locals can learn more about her by visiting the Casa Museo Felisa Rincón de Gautier, located at the center of San Juan. A statue of her is one of the historical landmarks in Paseo de la Princesa, also situated in the capital city. 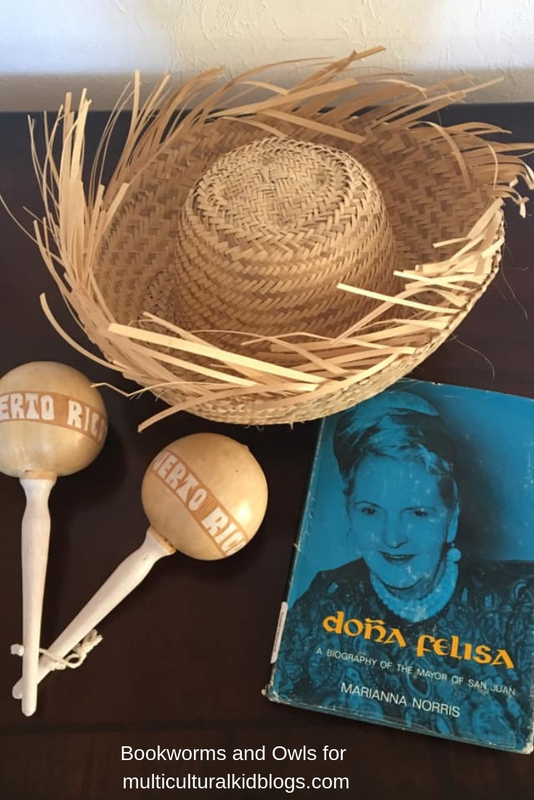 My copy of Doña Felisa: A Biography of the Mayor of San Juan by Marianna Norris. Photo by Yolimari García. Yolimar what a great post! I saw the title and I was wondering who wrote it. ¡Excelente publicación sobre la vida de Doña Fela!